Got old prescription bottles? Do this before you throw them out! Before you toss old prescription bottles: Remove the labels… or scribble out your name and prescription number with a Sharpie pen. Because medical identity thieves would LOVE to snag your info… and get refills of your prescriptions – or use your information for their own medical needs, sticking you with the bill! That can also mess up your medical records – which could jeopardize your health, or even put your life at risk. So take 30 seconds to shred or deface the labels on your pill bottles before throwing them away. If a medicine says “take with food” – that’s not a suggestion, it’s a rule. But 40% of people ignore the directions on medicine bottles. However, Emory University medical professor Dr. Sharon Bergquist says if you take those pills without food, you risk irritating your stomach lining, causing heartburn, nausea and potentially a stomach ulcer. So if it says “take with food” – be sure to eat something! Want to look younger, longer? Pop an antihistamine every night – even if you don’t have allergies. That’s the recommendation from dermatologists at Georgetown University Medical Center. It’s because antihistamines reduce the sinus inflammation that leads to puffy eyes… And they constrict blood vessels, which improves under-eye circles. Your best bet? A 24‑hour antihistamine that doesn’t include a decongestant. Within a month, the skin around your eyes will look better. As with all medication, check with your doctor to see if you can take an antihistamine before you start. Take your pills with water! 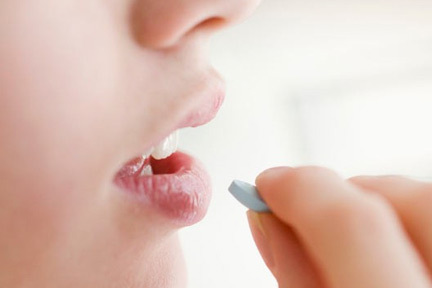 Are you one of those people who can swallow a pill without water? You may want to stop. According to the American Pharmacists Association, popping pills dry can cause heartburn – or worse. Without water to wash it down, a pill can release chemicals that could potentially damage your esophagus. Plus, the water helps you absorb the medicine better. So, even though it’s a cool party trick, take your pills with water. If you have to get your blood pressure taken, chill out for 5 minutes beforehand. Relaxing for 5 minutes before your blood pressure is taken guarantees you won’t have an artificially high reading. Because if your reading is too high, you may be prescribed unnecessary medication. For example, rushing into your doctor’s office after a traffic-jammed drive can raise your systolic pressure by as many as 20 points! So sit quietly, flip through a book, check Facebook and calm down in the waiting room. It’s also a good idea to skip that Dunkin’ Donuts run on the way to the doctor. Caffeine can cause a temporary blood pressure spike – and give you a false reading. Always double-check your medical bills! Experts estimate that 90% of hospital bills contain errors. And those mistakes can add up to big, unexpected costs for patients. For example, if a doctor’s office or hospital enters an incorrect procedure code, it may not be covered by your insurance. Other billing errors include things like adding an extra zero to a price – so an $80 medication becomes $800. 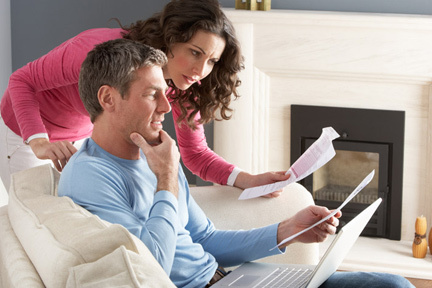 •Ask for an itemized copy of your bill. A lot of patients find unfair or excessive charges for items like gowns, toothbrushes, or gauze, that are supposed to be included as part of room and board or operating room charges. •Look for typos, like an extra zero added to the price of an item. And make sure you weren’t charged for tests you didn’t have. •You should also watch out for double-billing. For example, you might get billed for a scalpel…When you’ve already been billed for an “operating kit” that includes a scalpel. If you see any unusual charges on your bill, make an appointment with the medical provider to go over it. And if you need help, try a service like Medical Billing Advocates of America – at BillAdvocates.com. This company charges a portion of the money they help you recoup. Do you get bruises often? Did you know that in general, women bruise more easily than men because their skin is thinner? People also bruise more easily as they age, because the skin gets thinner and blood vessels become more fragile. We also bruise more easily if our skin has sun damage. Natural redheads also bruise more easily, compared to people with brown or blonde hair. It has something to do with a mutation of the gene that controls pigment. Bruising could also have something to do with medications you may be taking, ones that thin the blood – like ibuprofen or aspirin, or prescription blood thinners. Some supplements and foods can also have a blood-thinning effect, mostly things that we associate with good heart health, like fish oil and vitamin E, and foods like garlic and ginger. Are you on an anti-depressant? Take it in the morning. Not only will it be more effective throughout the day, but medications like Paxil, can keep you up at night because they have a stimulating effect. Your cough may not just be a cough. Here’s what else it could mean…. 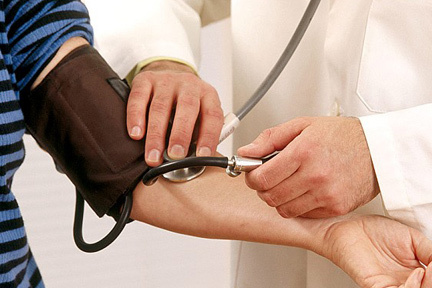 If you have a small, tickling cough, the culprit may be your blood pressure medication. For about 1 in 5 patients, a little known side-effect to those drugs is a dry, nagging cough. So ask your doctor about switching to a different type of blood pressure medication. Otherwise, ask him about adding some iron to your diet. Research shows that taking a daily iron supplement can calm a drug-related cough in as little as one month. Also, a persistent cough could be a sign of acid reflux. Experts say about 3 out of 4 people who experience heartburn after eating also develop a cough! The #1 way to ward off acid reflux is to eat lighter meals. Otherwise, try sitting upright for at least 2 hours after a meal. Then sleep on your left side. That way, acid passes more quickly from your stomach into your intestines.